We would like to congratulate Jan Ring from Sweden on winning a complimentary 2-night safari for two people as part of our 10th Anniversary Celebration! Thanda first welcomed its guests on 22 May 2004 and we have been celebrating the following 10 remarkable years over the course of the last year. And we have had plenty to sing and dance about – Thanda has evolved into a world-class game reserve and been awarded for its luxurious accommodation. We have accomplished 10 years of effective wildlife conservation as well as 10 years of valuable community philanthropy. These are no mean feats and to celebrate we have been offering our greatest supporters – our wonderful guests – 10 Random Acts of Love to mark the occasion. Some of these included surprise ‘gifts’ from the staff, special touches with your evening turn-down as well as a celebratory cocktail, amuse bouche or dessert specially created using local flavours. Others have included prize draws, including the one Mr Ring was automatically entered into, and went on to be randomly be selected to win, just by signing up to our newsletter. For a last chance to also receive a celebratory discounted stay, including the opportunity to win a two night safari, stay tuned as we end our anniversary year with a four day bonanza! 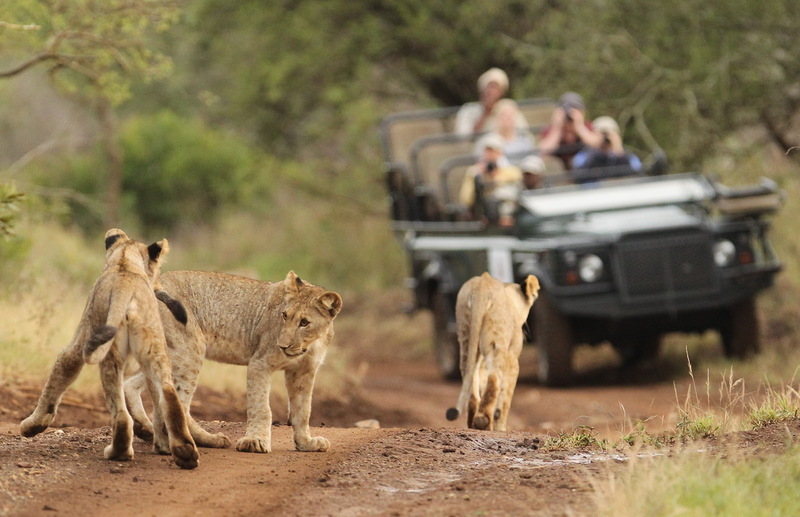 Special Terms and Conditions | The prize includes 2 night’s accommodation for 2 people at Thanda Tented Camp, daily meals, game drives and selected local beverages with evening meals. Valid until 22 May 2016, subject to availability and excludes the Peak Season (19/12-05/01). Transfers and extras are excluded. Cannot be exchanged for cash or used in conjunction with another offer.